Even though these are not mine, mine must have looked like this for about the last week. 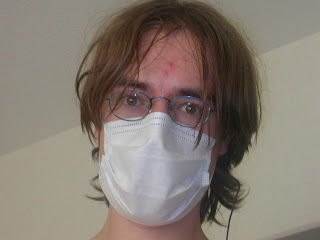 Last Saturday, the 1st of September, right when my friend from Germany, Manu, arrived I got infected with this sickness. The first day I just thought that my throat had hurt a little and that I felt a little week, however by the end of Monday I looked up the internet for my symptoms and recognized that they exactly fit tonsillitis (expect for fever). And Manu and me also found out that it is infect highly infectious. Oh no! Right calm down! 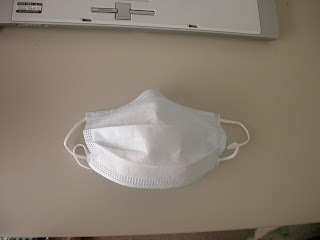 So the first thing I did, was to use one of this masks every Japanese person uses, when she gets sick. The other interns the next day at work told me I was the first foreigner they had seen weiring a mask like this &_&. Well but since it was highly infectious, I still had bad feelings about going to work. Yet I wanted out babysitter, internship coordinator Shieri, to go with me to the hospital and check if it is something serious and what I can do against it. Ah yes to the hospital, all doctors in Japan are to be found in the hospital. So if you want to get a medicine against your cold, you go to the hospital. So to the hospital we went. There I had to fill out all kinds of application forms, just like they recently introduced at German doctor's. Afterwards we had to wait for a little more, then my fever was taken (arm method) and we were let through to one of the doctors. He spoke only Japanese and I could not catch everything, but at least the most important parts. And for the others Shieri accompanied me ^=^. Weeeehw! 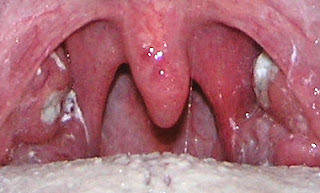 Even though he said it is in fact tonsillitis, it is a very light form. That means it is not caused by bacterial infection, but by viruses and a weak immune system. So that makes it non-infectious and easier to heal. 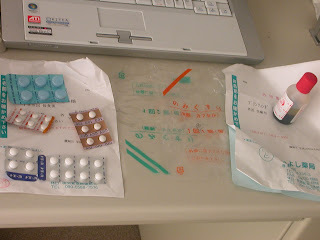 For recovery the doctor said I should take an 嗽薬 a medicine to gurgle and a broad selection of pills.